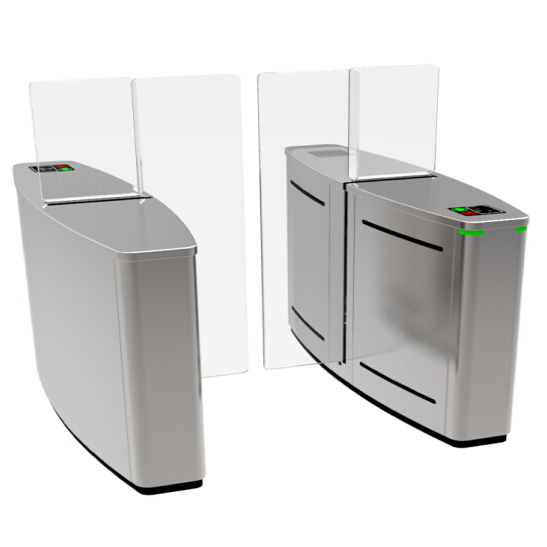 This is a space efficient security barrier with a compact design yet offering sufficient space to integrate any access control system. They can be mounted with a display, a passage counter, card reader, token operation, traffic lights, command console, alarm system against unauthorised entries, interfaced with a PC through a RS232 (RS485, TCP-IP) line. The unique swing arm feature provides a fails-safe safety solution in case of crisis evacuations. Durability with minimal maintenance means years and millions of free passages. Gates are used to secure environments like reception areas, stadiums, arenas, recreation and amusement parks, and general perimeters and interior security.